Unexpected. There are reports of migrant warblers every now and then, here and there, but the warblers are, for all practical purposes, gone except for the few that stay to start families. 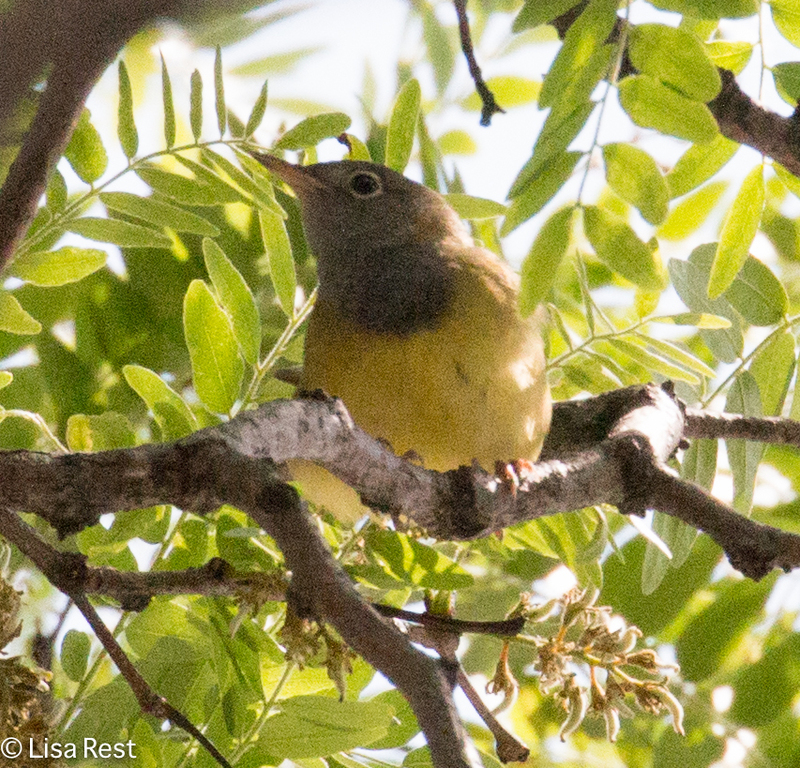 But after reading every day about a Connecticut Warbler that continued to hang out, for over a week, in the parking lot of a Holiday Inn downtown, I finally got on the subway last Wednesday afternoon and went to see it for myself. 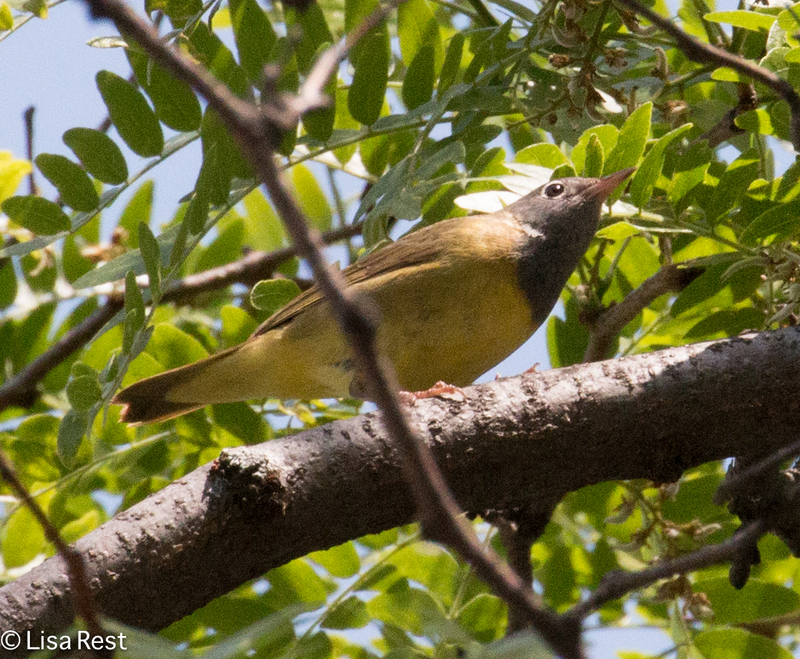 It was not my first Connecticut Warbler, but its sheer persistence persuaded me. If I regret anything about my visit it was my failure to record his song, because he was a strong, adamant singer and he would knock off a few phrases every five minutes or so. For all I know the Connecticut could still be there, although there have been no reports since Saturday. 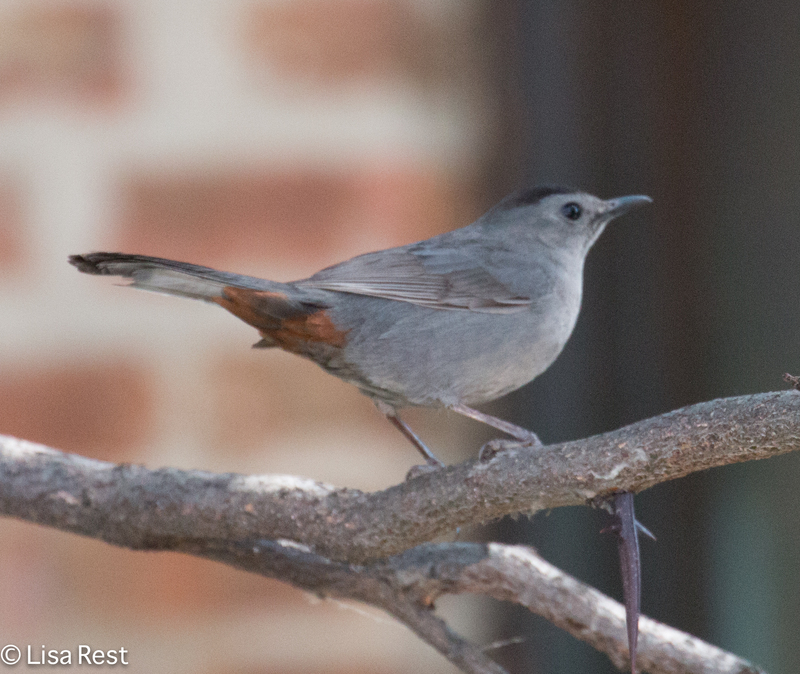 Below is a handsome Gray Catbird that popped out at the Holiday Inn parking lot as well. 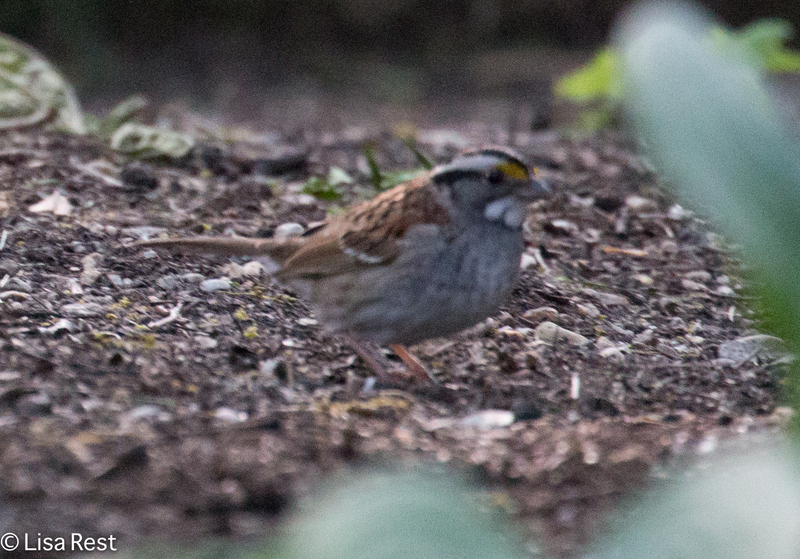 The stragglers I encountered almost every day the past two weeks were White-Throated Sparrows. Yesterday they were gone from 155 N. Wacker, but I still heard one singing, of all things, at Union Station. 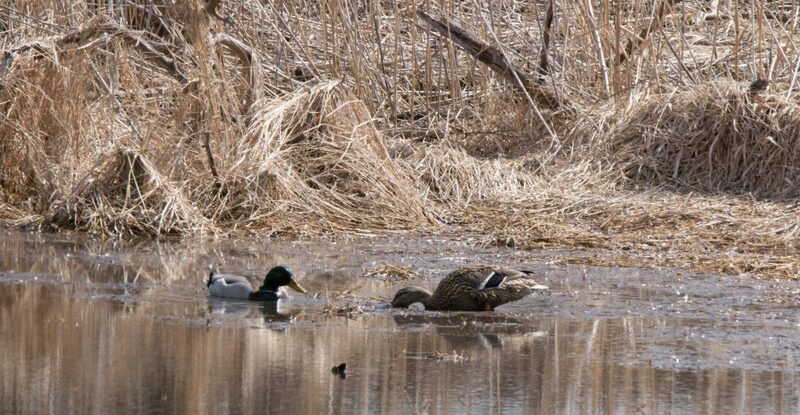 I tried to report it in ebird on my phone app but gave up when it kept challenging me. So much for citizen science. 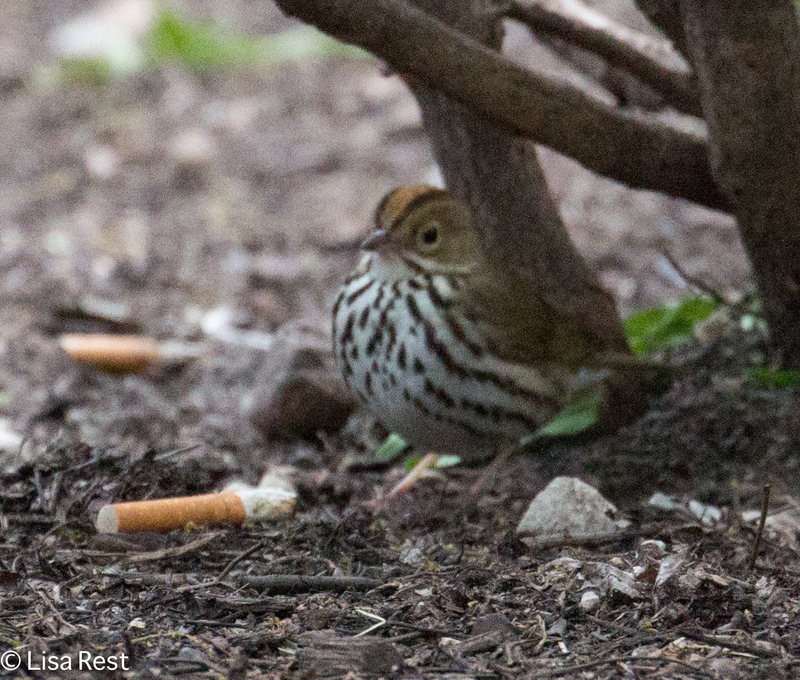 Perhaps my favorite late warbler in terms of chutzpah was the little Ovenbird below who made the berm by the bicycle rack at Union Station his territory. He was still singing last week. His habitat wasn’t all cigarette butts but I found it rather poignant that he could endure them. 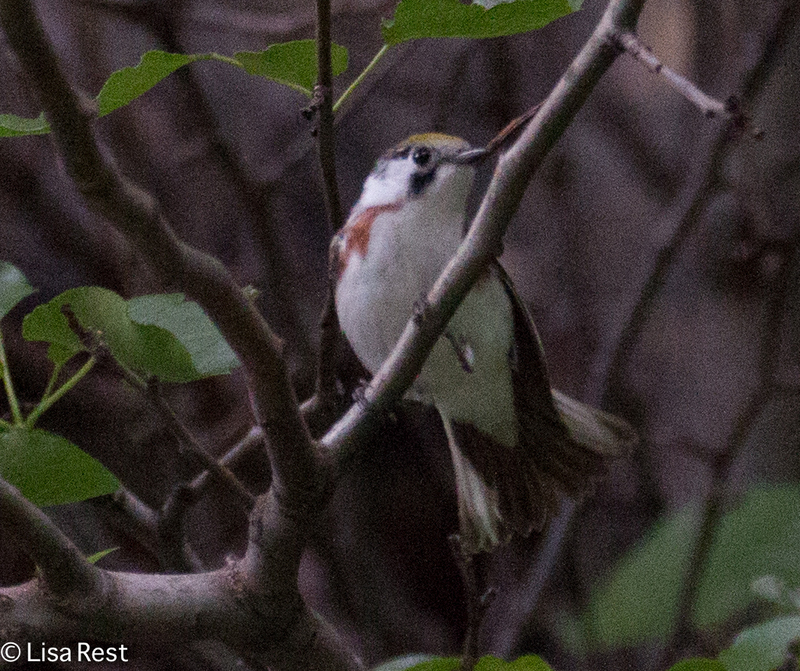 Also last week, there was a Chestnut-Sided Warbler at 155 N. Wacker. That was a special treat, even if that space, always in the shadows, made him difficult to photograph. 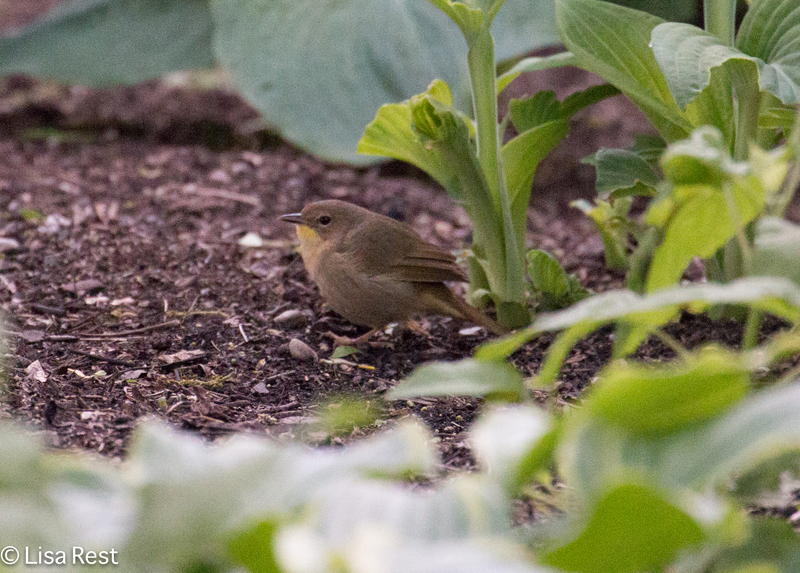 There was a female Common Yellowthroat too: a furtive, not-always-so-common sight. 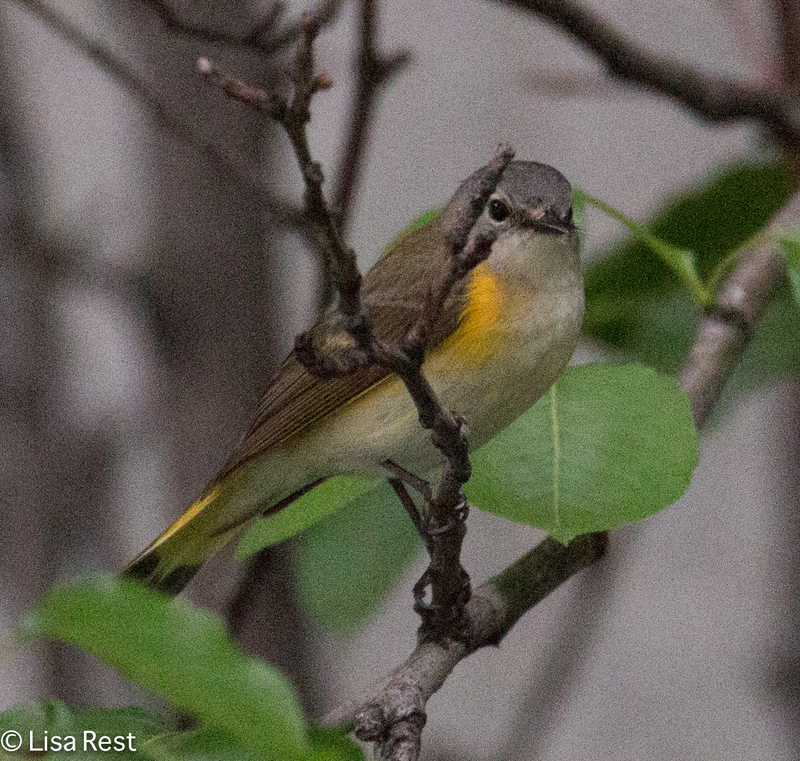 Below is my last first-year male American Redstart at 155 N. Wacker. 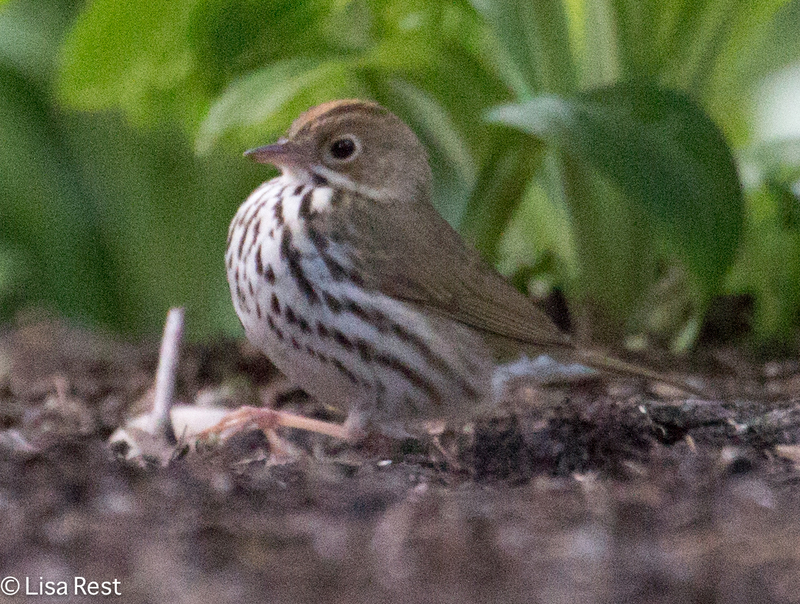 The Union Station Ovenbird was just a delight to hang out with. I miss his cheery song already. I haven’t heard or seen him this week, so I hope he has moved on to better territory. The forecast is for hot, rainy, muggy weather this week. I don’t know if I’m quite ready for the mosquito onslaught. 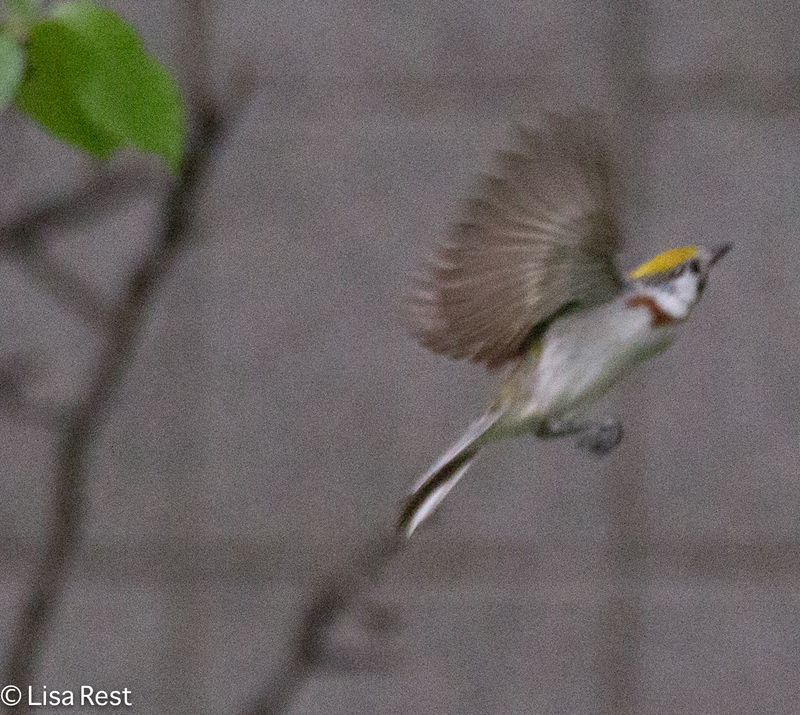 This entry was posted in birding, birds and tagged 155 N. Wacker, Chestnut-Sided Warbler, Chicago Holiday Inn, Chicago Loop, Common Yellowthroat, Connecticut Warbler, Gray Catbird, Ovenbird, Union Station, White-Throated Sparrow by Lisa Rest. Bookmark the permalink. Not bad for when all the birds have left! But now just a few days later…they are all gone, and it’s kind of sad, nothing to look for on the way in to the office. I look and listen anyway but there’s no point in stopping. 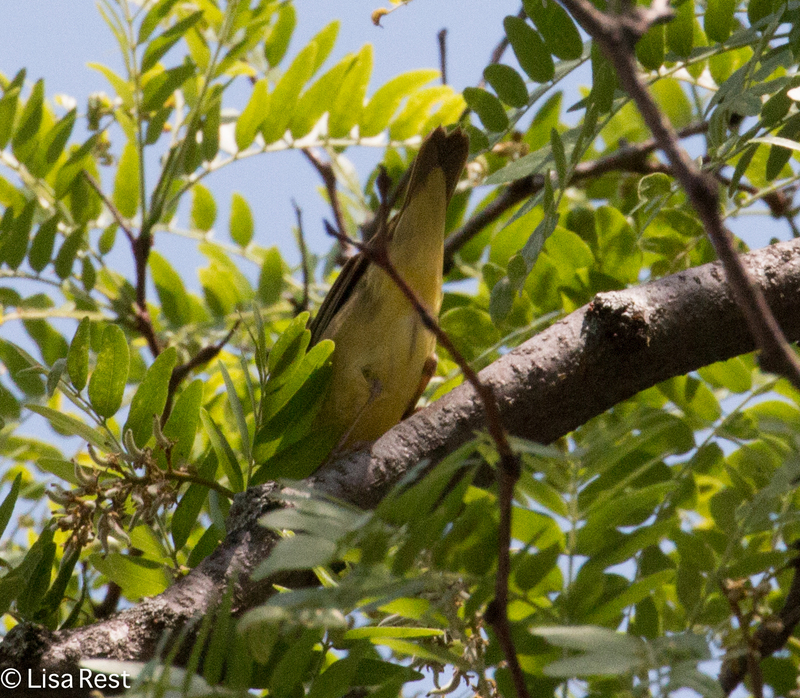 Great shots, amazing variety of warblers. 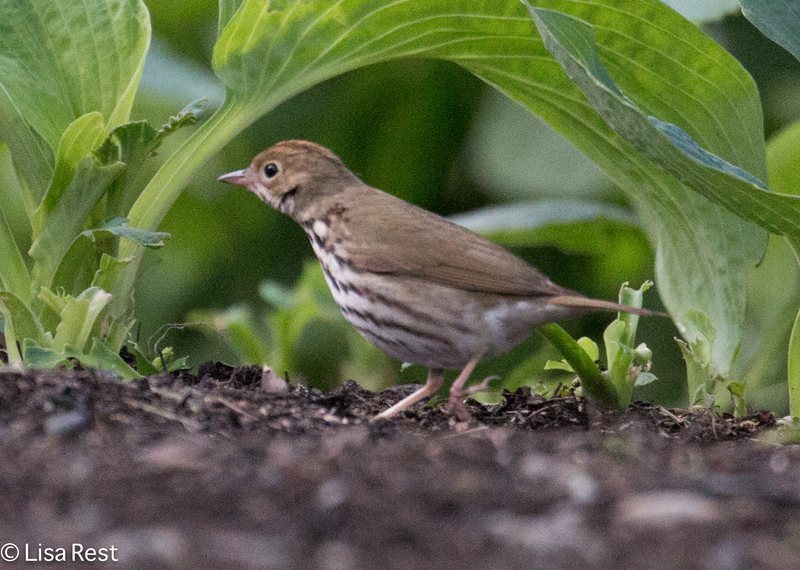 Since the indigo bunting this has been a very slow year for birds in our back garden. I think it’s been a very weird weather situation and that’s affected migration, certainly. Sorry you haven’t seen more species. As for Indigo Buntings, they seem to be abundant this year.